Jonathan W. Steed was born in Wimbledon, UK in 1969. He obtained his B.Sc. and Ph.D. degrees at University College, London, working with Derek Tocher on coordination and organometallic chemistry directed towards inorganic drugs and new metal-mediated synthesis methodologies. He graduated in 1993, winning the Ramsay Medal for his Ph.D. work. Between 1993 and 1995, he was a NATO postdoctoral fellow at the University of Alabama and University of Missouri, working with Professor Jerry L. Atwood, where he developed a class of organometallic supramolecular hosts for anions. In 1995, he was appointed as a Lecturer at King's College, London where he built up a reputation for supramolecular chemistry, including anion binding and sensing, and crystal engineering studies using strong and weak hydrogen bonds. In 1998, he was awarded the Royal Society of Chemistry Meldola Medal and was promoted to Reader in 1999. In 2004. he was appointed as Reader in Inorganic Chemistry at the Unviersity of Durham and was elected FRSC in 2005. Dr. Steed is co-author of the textbook Supramolecular Chemistry (2000) and more than 200 research papers. 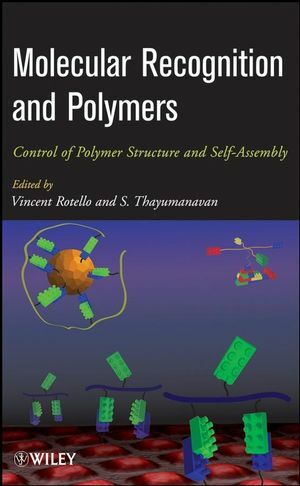 He has published a large number of reviews, book chapters and popular articles, as well as a major edited work, the Encyclopedia of Supramolecular Chemistry (2004). He has been an Associate Editor of the New Journal of Chemistry since 2001. David R. Turner was born in London, UK in 1979. He obtained his M.Sci. in Chemistry at King's College, London where he became interested in crystal nucleation and organimetallic anion sensors. He stayed on to do a Ph.D. with Jonathan Steed at King’s College and at Durham University, on urea-functionalised anion receptors, including tripodal organic host species and molecular tweezers. His work also involved aspects of crystal engineering and solid state phenomena involving transition metal/ureido systems. He graduated in 2004. In January 2005, he changed countries and disciplines to begin a post-doctoral position at Monash University, Melbourne, Australia with Professor Junk and Professor Glen Deacon, working on the synthesis and structural characterization of novel lanthanoid – pyrazolate complexes. In January 2006, he was awarded an Australian Research Council post-doctoral fellowship in collaboration with Dr. Stuart Batten at Monash University. His current research is focused on the synthesis and control of lanthanoid-containing coordination networks targeting systems and control magnetic properties, in addition to pursuing his interest in hydrogen bonding networks. Dr. Turner is the co-author of 20 scientific papers and is co-lecturer of the metallo-supramolecular course at his current university. Karl J. Wallace was born in Essex (a true Essex boy! ), UK in 1978. He obtained his B.Sc. at the University of the West of England, Bristol in 1999, where he developed an interest in inorganic chemistry and coordination polymers. He then completed a Ph.D. at King's College, London (2003), working with Jonathan W. Steed on the synthesis and binding studies of hosts for small molecular recognition. In 2003, he moved to the laboratories of Eric V. Anslyn at the University of Texas at Austin, USA as a post-doctoral fellow, synthesizing molecular 'scaffolds' for applications as practical sensor devices. In 2006, he was appointed as an Assistant Professor in Inorganic and Supramolecular chemistry at the University of Southern Mississippi, USA, where his research interests are in supramolecular chemistry, particularly molecular recognition and the synthesis of molecular sensor and devices. 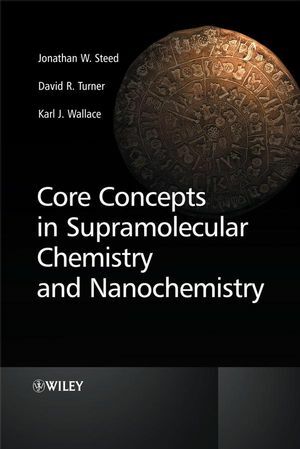 1.1 What is supramolecular chemistry? 2.1 Introduction: guests in solution. 2.2 Macrocyclic versus acyclic hosts. 2.6 Simultaneous cation and anion receptors. 2.8 Supramolecular catalysis and enzyme mimics. 3.3 Ladders, polygons and helices . 3.4 Rotaxanes, catenanes and knots. 5.9 Fibres, gels and polymers. 5.10 Nanobiology and biomimetic chemistry.